Ever wondered if you can save more with online shopping other than using promo codes? Yes you actually can! As a massive online shopper, I always always make sure that I use this method to save as much money as I can, as little as a cent. Because you know why, sikit-sikit lama-lama jadi bukit! So let's save up! Have you heard about Shopback? Shopback is an online website where you can find more than 500 participating brands that you earn cashback from when you shop in their website, through shopback website. Is it a little confusing to you? Don't worry! I'll guide you through. So basically, when you want to shop at let's say, the Sephora website. 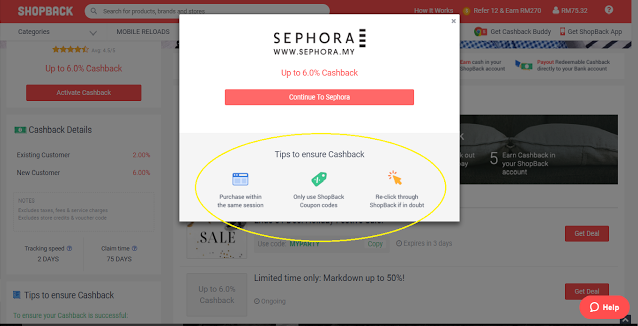 Instead of going directly to the Sephora website, you should log into your Shopback account and choose Sephora at the Shopback website and you can gain a certain cashback from your total spending. For new Sephora users, you can save get up to 6% cashback. Therefore if you spend RM100 on Sephora, RM6 will be credited back into your shopback account. I KNOW RIGHT? So cool! Press the sign up button at the top right corner of the webpage. And sign up using your facebook account or email account, you know the drill. Then, sign in as usual. Once you logged in, you can choose where you want to shop from. Don't worry! They have so many merchants from all categories. Hotel, flights, fashion, gadgets, foods, you name it! Now because I use my shopback account to shop at Sephora the most, let's use Sephora as an example for this walk through. heheh. First, type in 'Sephora' in the search bar and click on it. As in circled, you can see the cashback details on how much will you earn. It is different for every shops. 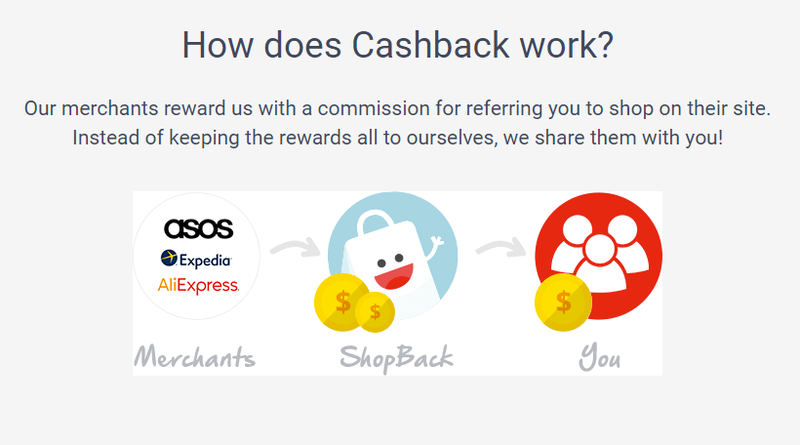 As you can see, first time purchaser will get 6% and existing customers will get 2% of cashback. Now click on activate cashback to get directed to Sephora website. This step is CRUCIAL. You must and have to use only the link that you're directed to when you're making your purchase. Do not use other tab or new window. What I like doing to be safe, is to log into my Sephora website first, choose everything that I want, and close my Sephora tab without logging out. Then, I use the shopback link to proceed with check out. This is to avoid confusion as I love to open a lot of tabs when shopping online to read reviews and stuffs. Now, just shop as usual as you always do! Except for now, you're getting 6% of your spending back into your account. Woohoo! Here, you can see your transaction history of total earnings, pending earnings, rejected, etc. Usually it'll take about 1-2 days for your cashback to be credited into your account. When your money is finally redeemable, go to your payment details, fill them in and request for payout. That's it! Easy peasy. I honestly have never make any withdrawal yet, just because I like seeing the numbers going up LOL. It's like, it's okay if I shop more because I'm actually saving more too. pfft. But yeah! 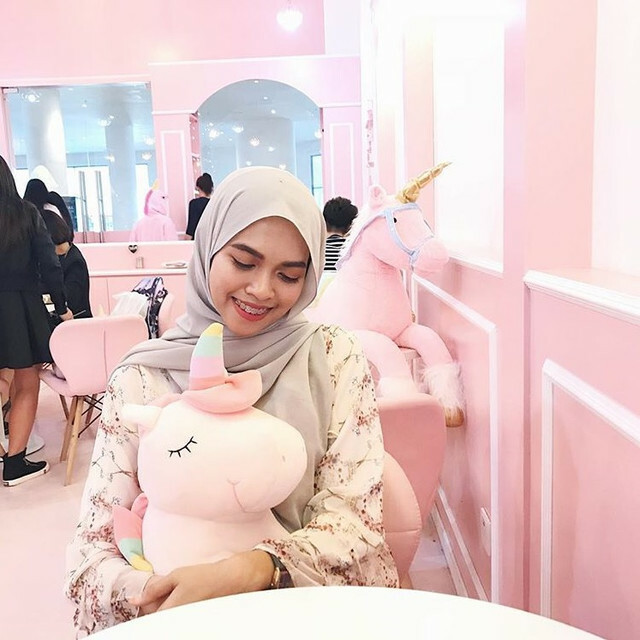 i hope you learned something here and, happy shopping!